We have a serious problem here people. 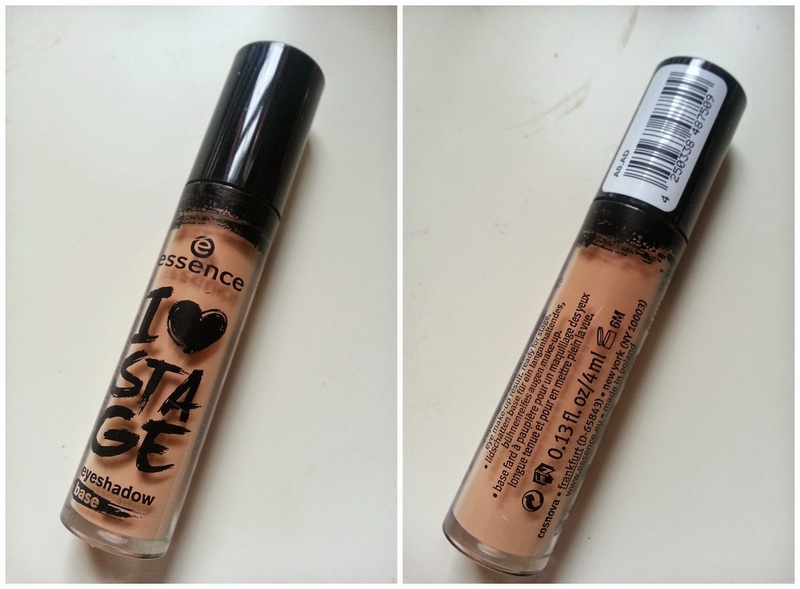 I am addicted to Essence Cosmetics. I am addicted to play with all the eyeshadows, the lipsticks, I am addicted to wake up with the impulse of buying new make up (this happens to everybody right?) and coming back home with a bag full of products without compromising my mortgage rate. 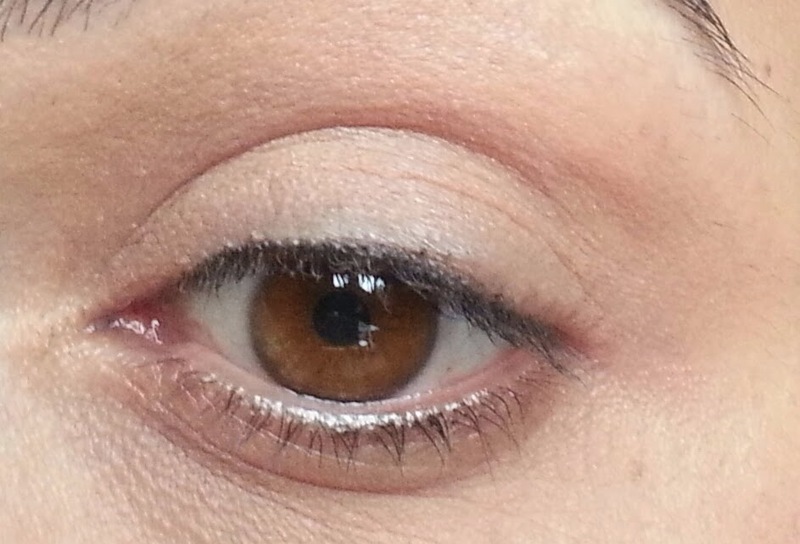 Today I want to share with you an eye make up I did few days back, using all Essence products that I bought or I was gifted at the amazing bloggers event. 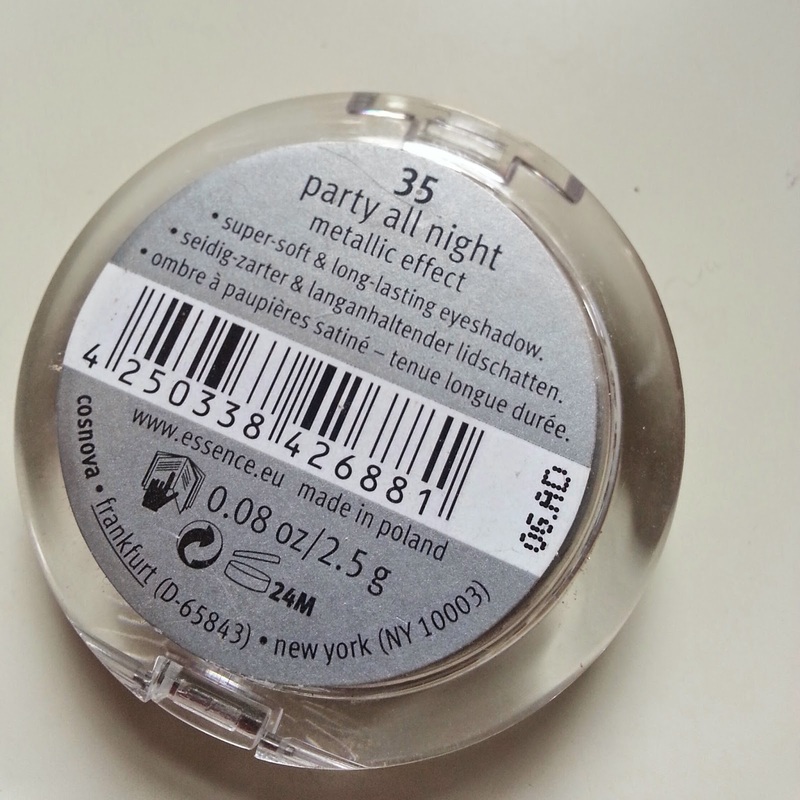 On the eyelid I used the "I Love Stage" eye shadow primer. 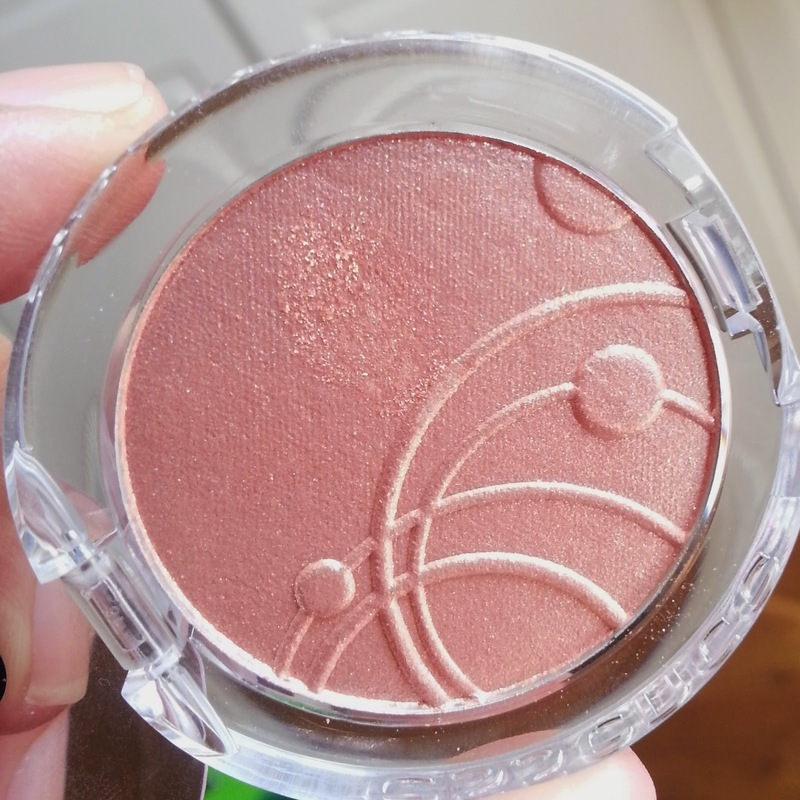 This is an old friend of mine, I think I am on my third one now, it's such a good primer, just delivers everything a eyeshadow base should provide: long lasting action, no crease and great colour pay off, all for £2.50. 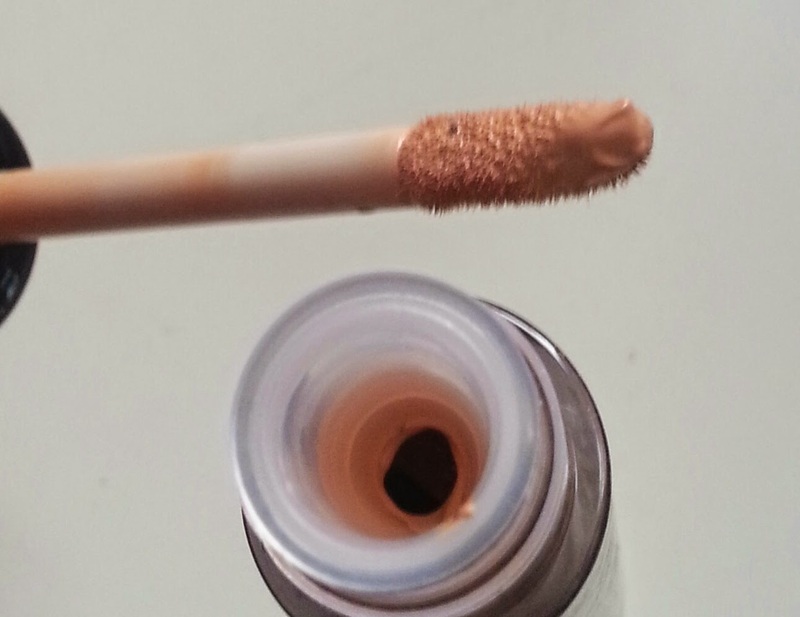 I used the little sponge applicator to tap just a tiny bit on the lid and then I blended it with my finger. 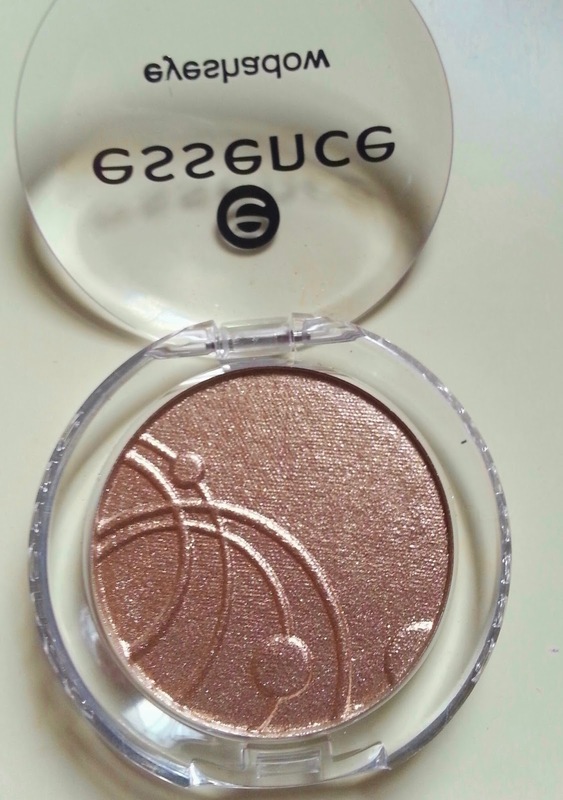 It has got a beige tone that helps giving an even effect to the lid. 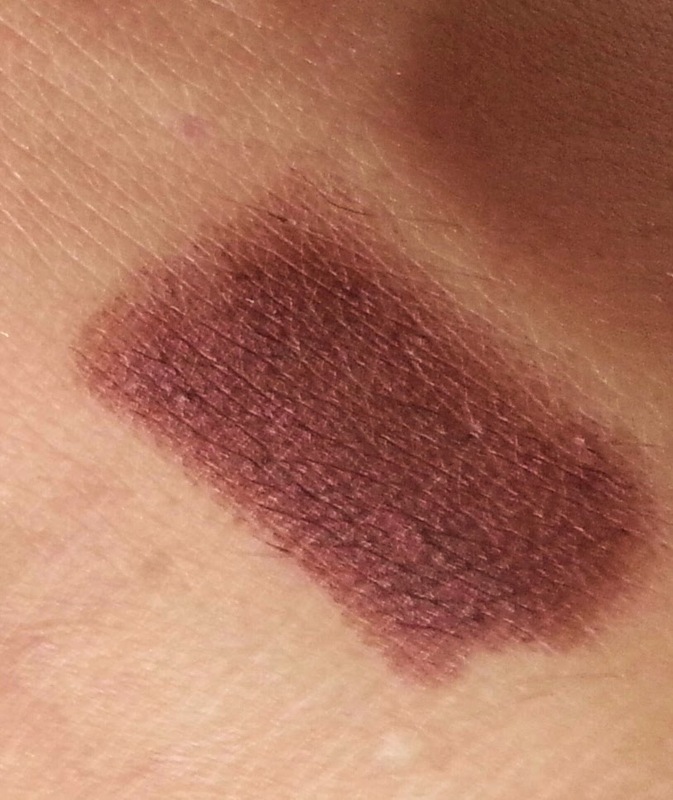 After the base I used as a wash colour all over the lid, the "No Matter Eye Pencil Shadow" in the shade 08, a deep metal chocolate brown. I can compare these eyeshadow pencils (I own the green one as well) to the NYX jumbo pencil despite not having the same range of colours. 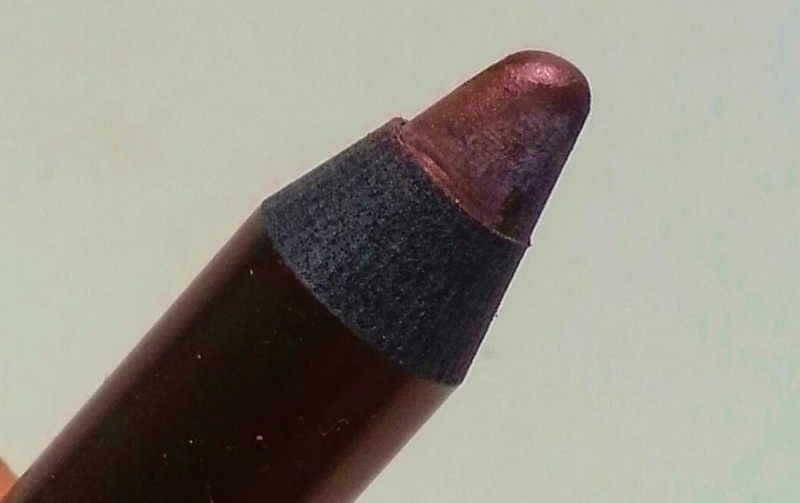 Once applied and blended it doesn't move, doesn't smudge and doesn't crease. 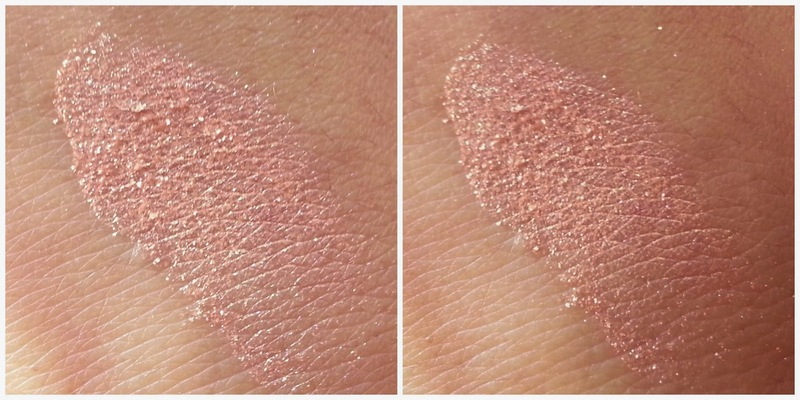 I haven't tried it without primer (I barely use any eye product without primer), so far I have noticed that it starts to fade after 6-7 hours. Not bad at all for £2.50. 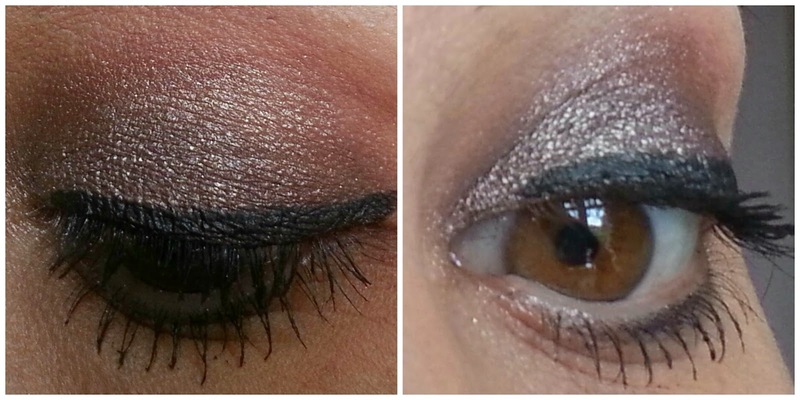 Let's move on to the eyeshadows. 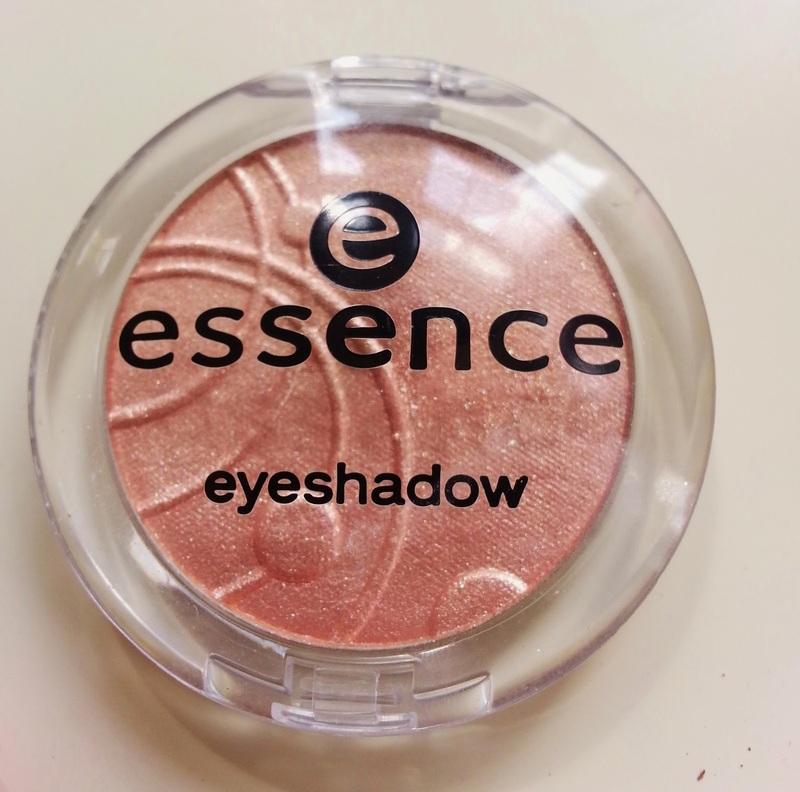 I used Essence Eyeshadow s number 74 "Peach Beach" on the inner corner and number 35 "Party All Night" on the outer corner, blended towards the middle. 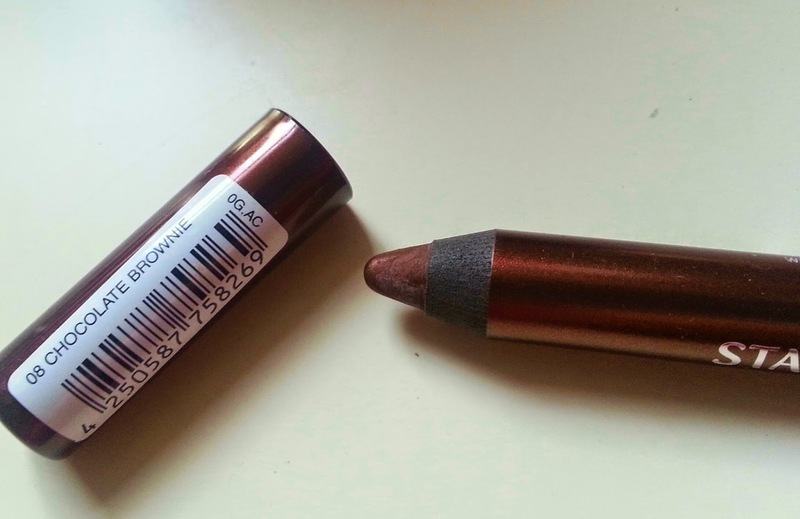 The first one is a peach colour, whilst the second one is a soft taupe/brown. 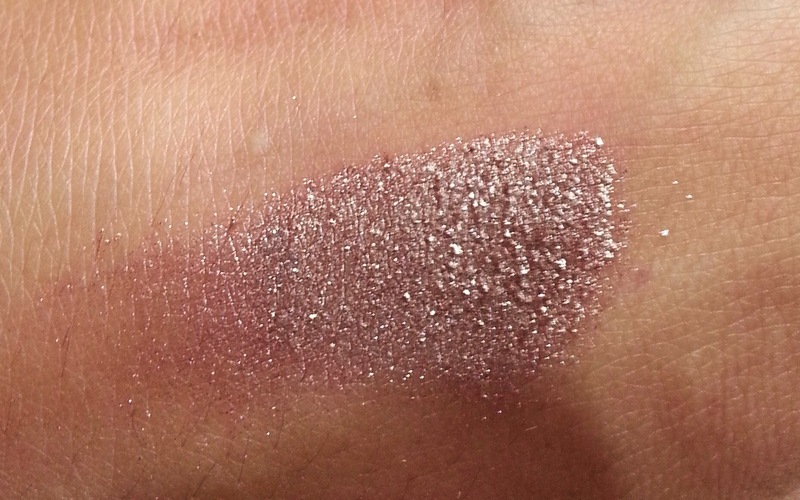 Both the eyeshadows have got a metallic effect with a satin finish. I experienced a noticeble fall out on my cheecks and even in the pan they tent to crumble a bit. 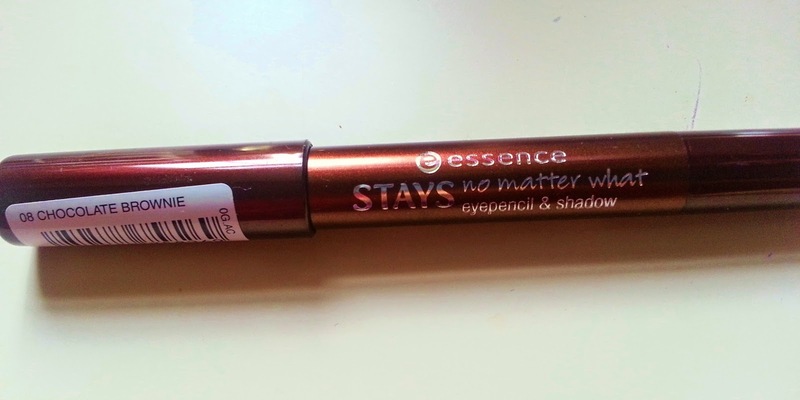 On the lashes I used Essence "Multi Action Blackest black" and I cannot agree more, it's just pure carbon black. I have to warn you that it's a pain to take off, I normally use a cleansing oil to remove it completely. Hope you like the final result, lately I am really enjoying spending time doing my eye make up. Now, Mr. Essence (o MRS? Any idea? ), can I kindly ask (I can beg if you want me to) you to reconsider your idea to stay in the Manchester Arndale just for one year? What am I gonna do after then? Don't tell me to go to Wilko please, I am used to the giant stands now, with all the new collections coming and going, with the nice girls chatting about the new products. Don't leave us please, stay stay STAYYYYYYYY.